During the last minute 4th of July party, I had this odd panic to really dress the backyard up with some fresh flowers. I don’t ever really have tons of friends over, so if I was going to spend the money for a party than it was damn well going to look cute! 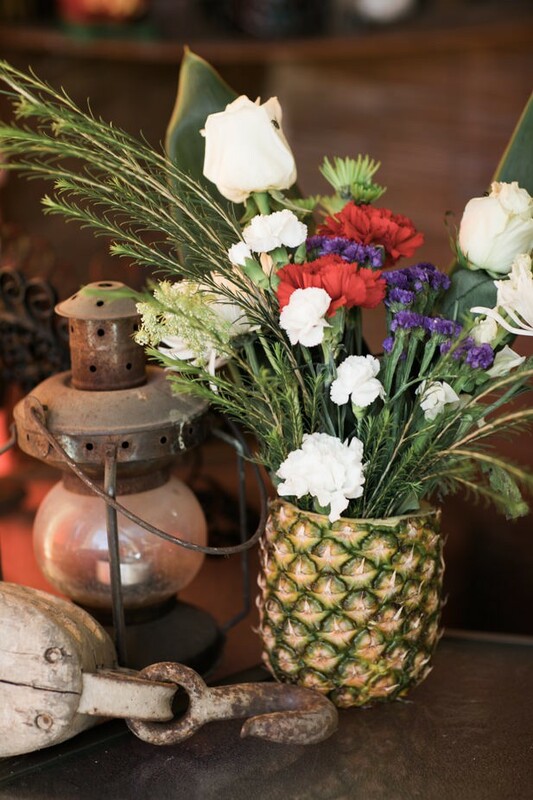 I didn’t have any vases so I went to the next best thing which was… one of my 4 pineapples that I had purchased. I used my Adorox Stainless Steel Pineapple Fruit Core Slicer Cutter Kitchen Tool (Stainless Steel (1 Slicer)) which is God’s gift to pineapple addicts like myself. SO MANY PINEAPPLES I CAN EAT NOW! That and it empties the core out of the pineapple. I hollowed it out a bit more after using the core slicer. I then shoved a plastic red solo cup in that little pineapple. And WAHLAH. 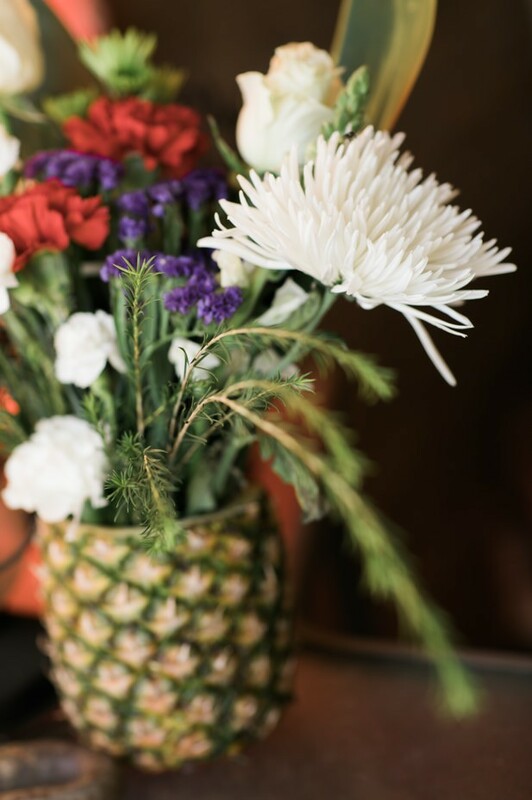 I have a tiny pineapple vase. I trimmed all the flowers to fit the length, played with the arrangement and was so happy with the final result. 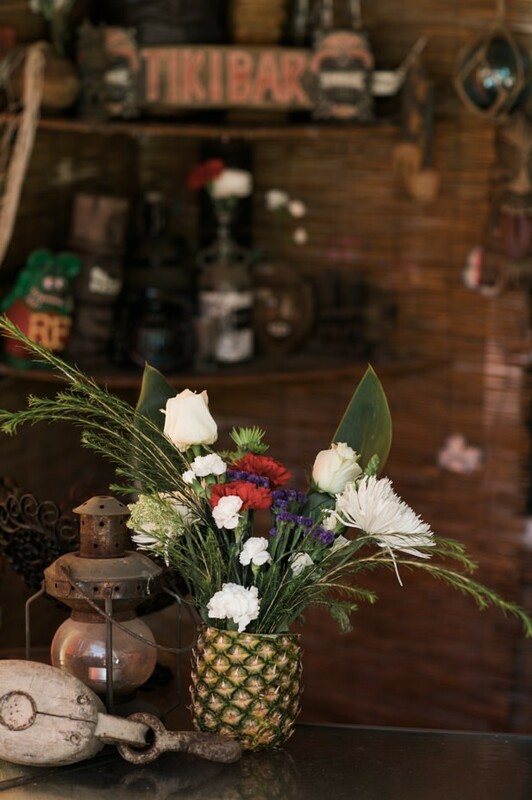 I then took the rest of the leftover flowers and spread them over the tiki bar. 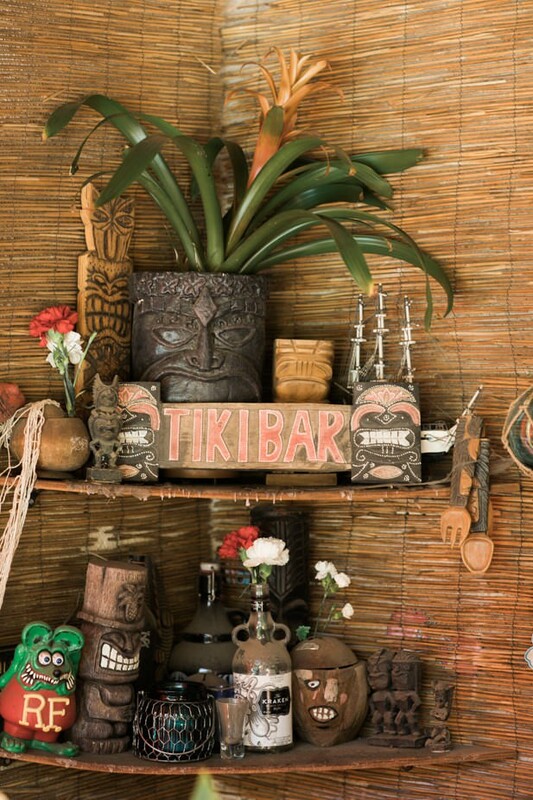 Pop one in a tiki mug here, here… and here! As you can see, my little bar is a work in progress. 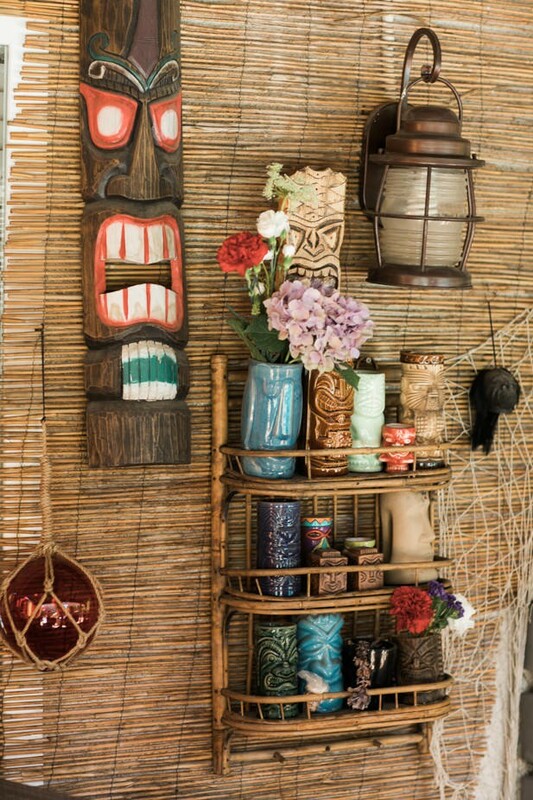 It’s a nice collection of tiki mugs from all over the country, random thrift store finds, and crafts made by my brother. Lover of art, life, and God. Inspired by nature, nerdom, travel and animals. 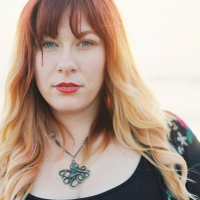 I use this blog as a journal documenting my journey into art. I paint things. I take photos of things. I build things. Life is best when you are creating. A day in New York City on September 11th.